The Battle of Kernstown would prove to be the Irishmen’s first major test of the war. Stonewall Jackson’s opponent on the day was technically Tyrone-born Brigadier-General James Shields, but an injury received the day before the battle had disabled the Union commander, who was forced to hand over effective command at Kernstown to Colonel Nathan Kimball (this did not prevent Shields from subsequently claiming credit for the victory). Jackson had ordered his 3,400 men to the attack believing they faced only some 3,000 soldiers who represented the Federal rearguard at Winchester. 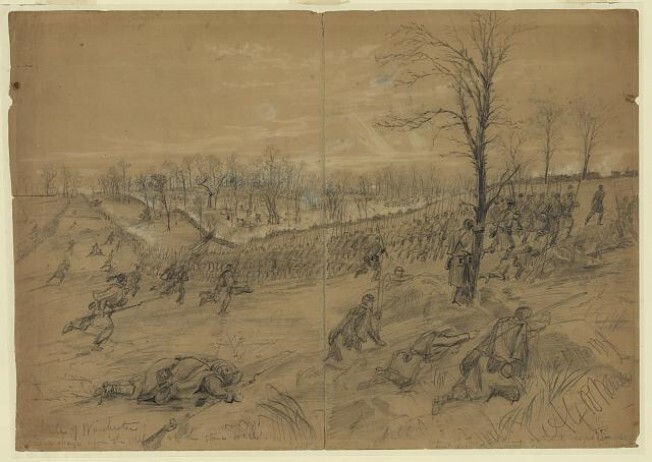 The 187 men of the 1st Virginia Battalion moved forward with their unsuspecting comrades against an enemy force which in fact numbered some 8,500. Weren’t the Montgomery oif Richmond in the 1st Virginia? 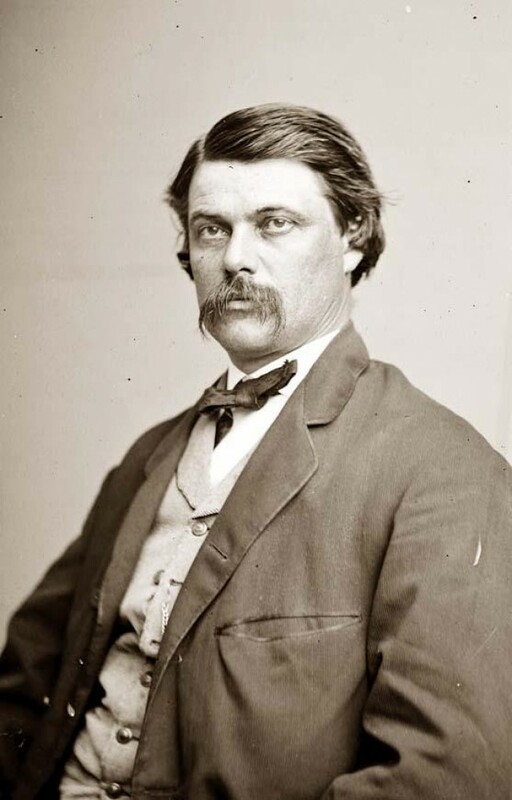 One of their lieutenants left an often quoted CSA account of Pickett’s charge. This guy became a Jesuit seminarian after the war but died within a few tears, If I recall, the seminarian’s father was the prewar captain of the militia company. The Richmond Montgomery Guard was the most prestigios Irish militia company in the South. Your dead right I am currently reviewing a new edition of his memoirs just published, they are quite something. His 1st Virginia were the volunteers though so a different unit to this one. His description of the wounded after Pickett’s Charge is exceptional, he spent a large portion of the war on Johnson’s Island as a prisoner as well. Hope to have the review up in the next couple of weeks! The guy was James Dooley and he was a graduate of Georgetown. His father John was the rich guy who was prewar captain of the Montgomery Guards. After the war James became estranged from his family when James married a protestant woman So he never was an S.J. The oldest Irish militia company in the USA is the Irish Volunteers of Charleston, South Carolina. 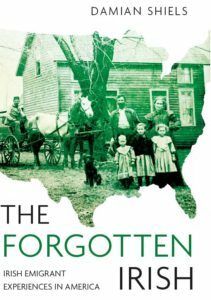 Several secondary sources state the IV’s were formed by refugees from the 1798 affair who fled to America. They were probably the first Irish militia company to see compat in the Seminole Wars. Their organization date is usually given as 1801. Thanks Patrick, really glad you enjoyed it! A note of interest: David Benjamin Bridgford is my 2nd great granduncle. I have a great deal of info on him if you require same. Pls. let me know and I’ll gladly share. Many thanks for the comment- I would love to hear more about David! Did he leave many memories on his service with the unit?